Breaking the parenting cycle of "No"
I feel like I’m in a cycle of NO. Our son is in a particularly challenging season of life right now, figuring out his own pre-teen stuff while we also navigate his ADHD and ASD diagnoses. Between his stuff and the constant bickering between him and his sister, I feel like all I ever say is “no” or “stop.” Honestly, it’s exhausting. And it’s not the environment I want to be in all the time, let alone the environment I want our kids to grow up in. A friend of mine told me once that she tries, whenever possible, to say “yes” to her children when they ask her to do something. Unless it’s unsafe or inappropriate, she does what she can to say YES. My kids hear “no” from us thousands of times throughout the day – “Don’t do that,” “Don’t touch your sister,” “Not right now,” “No, you just ate”… I definitely say no more than I say yes. This doesn’t feel GOOD, but I don’t know how to make the shift. It’s both me and my husband. We’re tired, we’re trying to keep the house clean, we’re finishing up work, there are a million reasons to say no. But only one reason to say yes – our kids. The thought that they might look back and think of me as someone who ONLY said no…is absolutely devastating. I don’t want to be the mom who always says no, so I am going to have to figure out how to break this habit. I’m not going to master this in a day, but I want to be more of a “yes-man” at home. If they ask me to read a book, if they ask me to play a game, if they ask me to colour a picture, I am going to do my best to say yes. I won’t always want to do that particular activity, but it will make them happy and it will be time spent with my favourite people on the planet. I likely won’t do it if they’re asking so they can avoid homework or bedtime, because they’re tricky monkeys and will take a mile if they get an inch! I was talking to another friend of mine about this and she has a great way of managing yes. If her kids ask her for something, let’s say chocolate cake after dinner, she responds with “Absolutely…next Friday!” She has said yes to their request but not in THEIR timeframe, in hers. Genius! I have tried this in the last few months and I have to say, the times I did say yes left me feeling lighter, the kids were delighted and the day went better. Who WOULDN’T want that outcome all the time?! What do you think? Are you a yes-parent or a no-parent? 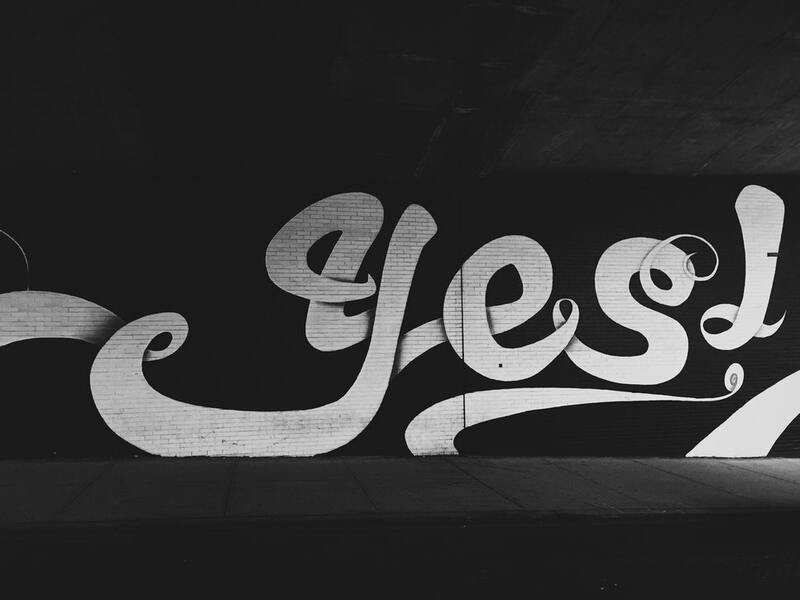 Want to join me in embracing the power of YES? How an International Flight Gave Me The Power of Perspective.